Every business is different, and the right solution depends on what your primary concerns are. Is budget your main consideration? Security? Or perhaps, since we’re talking project management, effortless collaboration? Because every company has different priorities and needs, let’s not pit the two delivery options against one another, like a Mac vs PC rivalry. Depending on the user and the goal, each has their own benefits. So if you’re reading this article to confirm your own opinion that either cloud or on-premise software is evil— then you’re going about the software buying process all wrong. Likewise, if you’re holding on to biases about Software-as-a-Service (SaaS) based on selective information or a bad experience five years ago, then your concern may no longer be relevant. Additionally, if someone is declaring the almighty power of one over the other, then odds are they’re trying to sell you something. 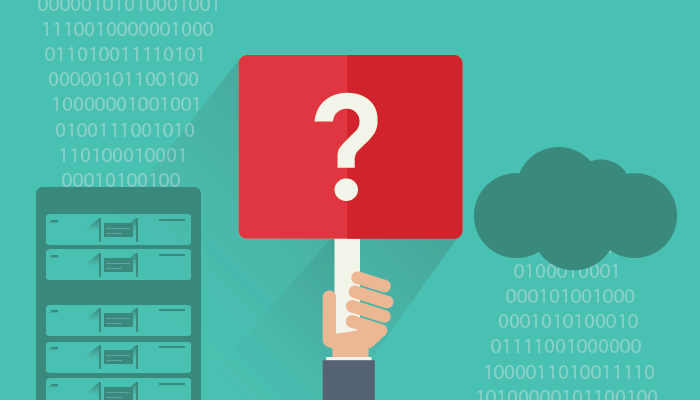 Let’s take an unbiased look at what you should evaluate when choosing whether cloud-based or on-premise project management software is best for your business. No matter the type of software you’re considering, the biggest difference between any cloud (or SaaS) solution and an on-site setup is the cost model. 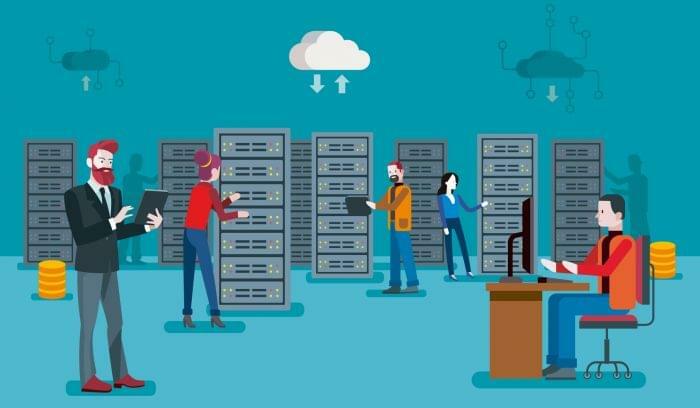 On-premise systems cost more upfront, due to in-house server hardware, software license investments, lengthy deployments, and IT support staff. However, the total cost of ownership (TCO) over a long term period can be lower when compared to a subscription based cloud solution. This is due to the fact that cloud solutions require ongoing, perpetual payments (either monthly or yearly), while an on-premise system requires an initial upfront expense, and then (hopefully) infrequent maintenance. This is where a TCO analysis comes in handy. After crunching the numbers, many businesses find they simply don’t have the immediate financial resources available for an on-premise solution. If this rings true for your business, you may choose a cloud project management vendor with plans to eventually own an on-premise set up, or you may decide to stick with a cloud solution long-term due to any of the additional considerations below. TIP: Most SaaS vendors disseminate updates automatically and without additional fees, as well as provide customer support. Be sure to take on-premise upgrades and possible hourly customer support fees into account when calculating TCO. Many IT departments prefer to host valuable data such as confidential documents and customer information on-premise within their own firewalls. However, cloud software can be just as secure as on-premise systems. The major difference here isn’t security, it’s actually control (or the feeling of control). With on-premise software, you control the system and the data and can ensure it’s aligned with company backup and privacy policies. In the case of SaaS, vendors control the system and are entrusted with the data. TIP: Security risks associated with SaaS are overblown— most solutions offer comprehensive security features. Many vendors have even sought out independent security certifications that are likely more rigid than your own IT department policies. Security is a genuine concern for any company with projects involving highly sensitive data, so be sure to perform the due diligence and vet vendors to ensure their policies are compliant with your standards. 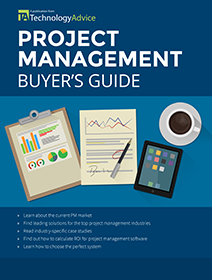 Depending on your industry and the solutions you already use, integrating project management software with other existing programs or even customizing it to fit your specific needs may be your biggest priority. If this is the case, be sure to identify what integrations or customizations are the most important so you know exactly what type of software you need. Many SaaS solutions are configurable, but they may not be entirely customizable, so the availability of SaaS or on-premise solutions that match may be the determining factor. TIP: Many companies need access to large amounts of data for transfer or manipulation, so vast integrations or a customizable API are necessary. 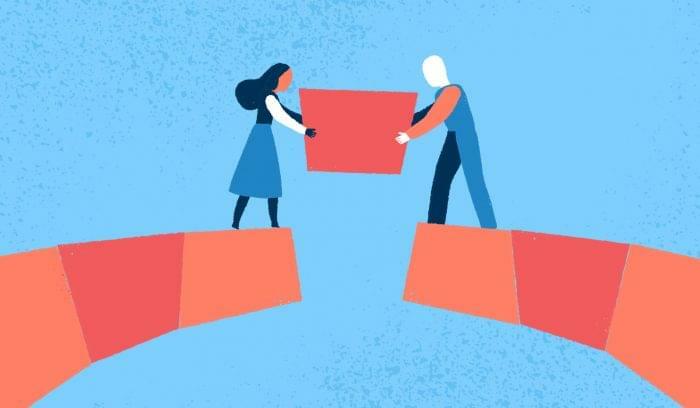 However, complex integrations with a project management solution may not be necessary for your business if you’re using it mostly for collaboration or task management. More and more employees are working remotely or accessing business information on the go. One of the SaaS benefits that is most often used as a selling point, especially in regards to project management software, is the ability to access necessary information remotely, from a laptop or mobile device. Additionally, many cloud providers offer custom apps for smartphones, which makes remote and mobile access even easier. However, remote or limited access is also possible with on-premise setups through VPN services that allow offsite connection. Though this may sometimes limit access, having remote or mobile workers doesn’t automatically necessitate SaaS. Not only is on-premise viable for remote access, it could be preferable. Let’s say you’re in the construction industry and you need a project management solution. You have a lot of continuously updated documents and files that you need to keep track of. Additionally, you may only collaborate with various contractors or designers for a few months at a time. By having an on-premise system, you wouldn’t have to worry about being charged another per-user fee for temporary collaborators, as some SaaS systems require. TIP: Remember, vendors may claim certain features as a differentiator, even when nothing is really different about them. If possible, always try to test-drive systems to ensure the features deliver what you need. When it comes to cloud “versus” on-premise, the best delivery option isn’t the same for every business. What works for one company won’t necessarily be ideal for another. The answer depends on a variety of factors and priorities, some of which we’ve outlined above. One company is bound to value collaboration the most, where another may say budget reigns supreme. Knowing the facts about what each deployment offers, along with what your biggest concern is, will help determine the right software for your business. Overall, the best project management software — whether cloud or on-premise — is the one that enables growth and success by helping your company achieve its goals. Glad you enjoyed the article. Based on unbiased customer reviews, Comindware is one of the best rated project management solutions in our product selection tool. Cloud deployment really does offer some nice benefits for collaboration tools— thanks so much for sharing!